Worried you might have a Woodworm problem ? Book a free suvey now! Think You’ve Got a Woodworm Problem? Are you suspicious that you may have a woodworm infestation in your home or commercial property? 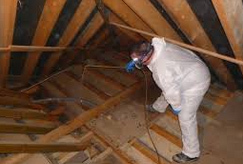 Our team of pest control experts are available on call 24/7 to resolve your woodworm issues. After your call, one of our experienced engineers will be happy to conduct a free site survey at your property to correctly diagnose your issue and recommend a suitable removal method to eradicate your woodworm issue. For Woodworm treatment advice call today on 0800 145 5762 or book your free survey. After our initial consultation and survey we will provide you a full breakdown of our findings and the recommended course of action. At the treatment stage we will ensure that all area’s are cleared ensuring we get a full coverage of the insecticidal formula which will be applied to the effected wood area’s via spray killing the insects on contact. Finally our engineers will rectify any damage caused by the infestation leaving your property safe and Woodworm free. That’s right all of our treatments are guaranteed for 25 years giving you full peace of mind that your woodworm problem is solved for good. Woodworm is the larvae of wood boring beetles. Species include the Furniture beetle, Deathwatch beetle, House Longhorn beetle and Powder Post beetle. The larvae of these beetles life cycle varies between 3 to 11 years, boring through all types of timber before emerging to breed. 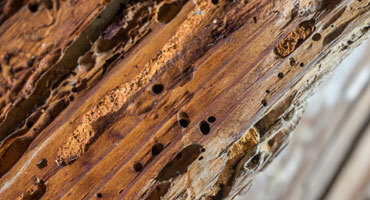 Woodworm can be devastating for timbers and could cause costly structural damage. Identify woodworm in your commercial or residential property today and save yourself time and money in the future.